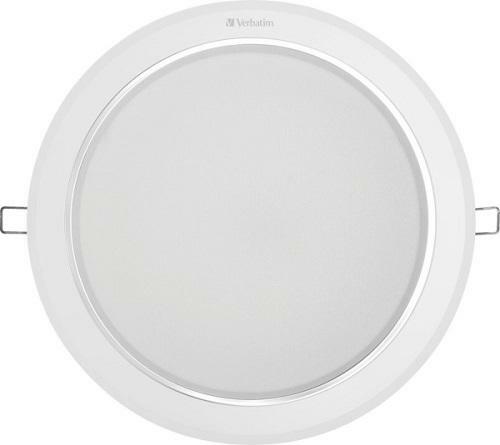 This 24W Verbatim energy efficient LED downlight offers a uniform light distribution. Easy to integrate, thanks to its compact dimensions and external power supply, the unit has a white housing for discreet integration into ceilings. A direct replacement for compact fluorescent downlights it is ideal for general purpose lighting in corridors, offices, hotels and restaurants. Suitable for most suspended ceilings.